Flop shots are difficult and should be avoided at all costs. However, if you want to get it down correctly, make sure you practice at the range whenever you can. Here are some things to consider when attempting to make a flop shot. Flops should be hit with a high-lofted wedge. Most of us here use one in the low to mid 60’s. If you don’t carry one in your bag it’s going to become problematic when you try to hit the shot. When you have to do a flop shot, it is best practice to study your surroundings. Remember that the shot could land you up way past the cup, on the beach or even worse, in the drink. Greens are usually fast and if your trajectory is off, you could shoot way past the hole and into a hazard. The shot is not about spin, more about control. A good shot will have you end up with the ball flop down and land as close as possible near the hole. The reason it called a flop shot is that you want the ball to have a soft landing with very little roll (the less the better). If you get too much under the ball, chances are you will just swing under it and it stays right where it was. Hitting the ball even and putting the club parallel with the ground is always the best option. Like any other shot, let the club do the work for you. Use your most lofted wedge for your shot. Go for height not for distance. The ball should be forward in your stance as you approach the shot. This way you hit the ball more towards the upswing. The club face should also have the face open at all times. It should be nearly pointing straight up. 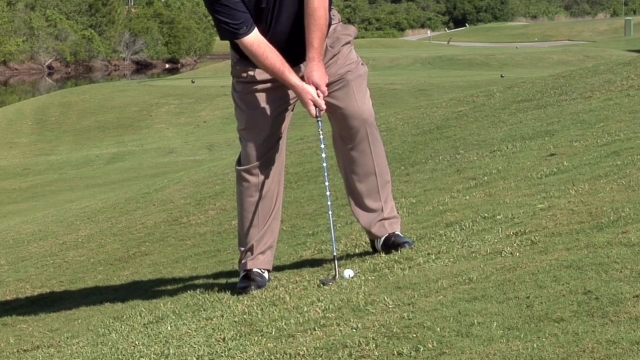 Take an almost full backswing when you are setting up. Getting under the ball and lifting it up is the main goal. If you don’t take an almost full backswing, chances are that your upswing will not be complete either. The flop shot is a tough one to master. You have to consistently practice to get it down right. Use this tips to improve your chances of hitting a spot. Previous article Callaway, Titleist or Taylormade?